Dalton Trumbo Fountain Court is a popular gathering place for students and visitors. This shot was taken through one of the University Memorial Center’s archways in mid July. The outdoor fountain court was built in 1964. 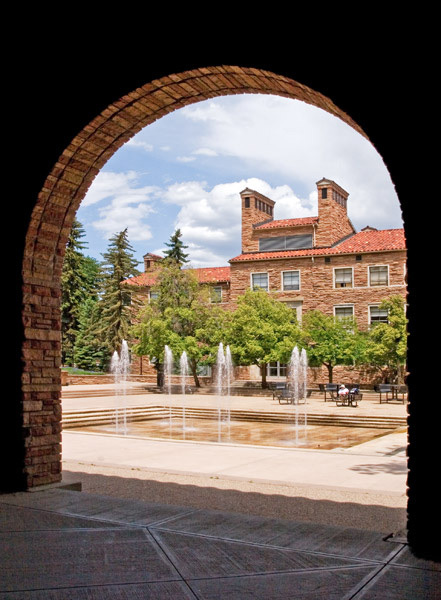 In 1993, Fountain Court was rededicated to honor CU alum and blacklisted screenwriter Dalton Trumbo. Photo © copyright by Mike Barton.